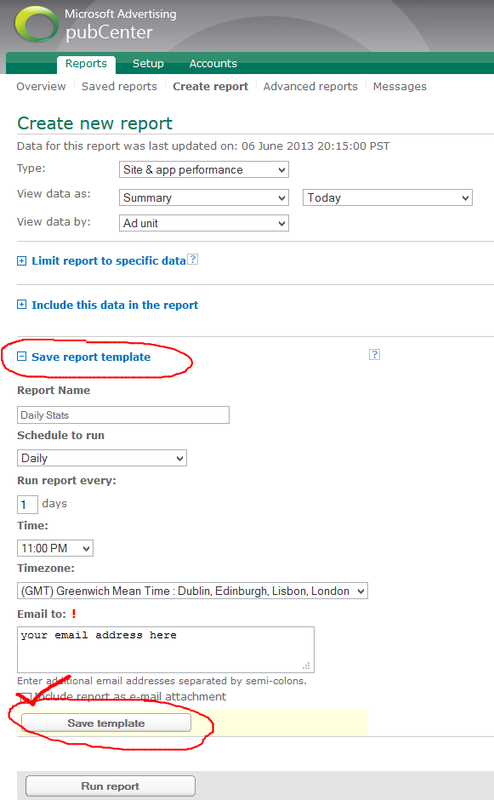 If you’re writing Windows Phone or Windows Store apps and you’re using Microsoft’s pubCenter to display adverts, you can schedule a daily email report of your earnings for that day. 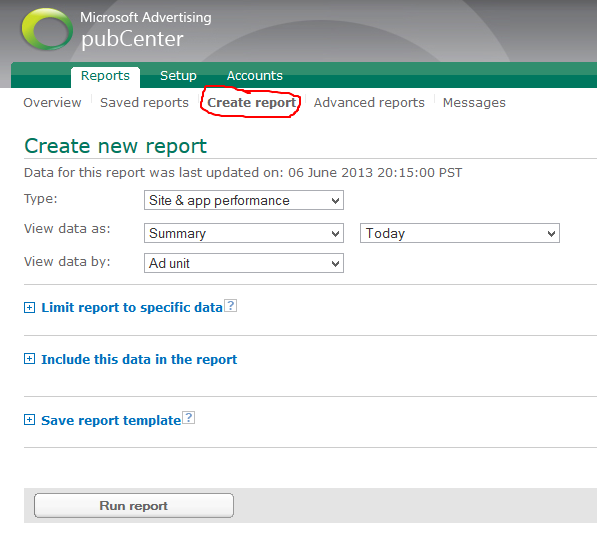 Go to the reports tab and choose Create report. Give your report a name, schedule, and email address for it to be sent to. UPDATE: Make sure you tick the “Include report as e-mail attachment”. Now you’ll receive a daily email with an attached CSV containing your revenue for the day. It would be nice if this was in the body of the email rather than as an attachment though.